Some people imagine the roar of a crowd at a packed football stadium when they think of college sports, but that's only part of the story. College sports come in a wide variety, including bowling, golf, wrestling, tennis, swimming and even Frisbee. And colleges offer the opportunity for every student to take part in sports — not just the elite student-athletes you see on TV. Through various sports associations, many colleges offer students the chance to play competitive sports at the varsity level. Some varsity athletes are eligible for sports scholarships through their colleges. Varsity athletes must meet academic requirements to win and keep sports scholarships. Every student has an opportunity to play sports — thanks to clubs and intramural leagues. All college athletes need strong time-management skills to balance classes and homework with practices and games. Intramural leagues give all students a chance to participate. Play against teams from other colleges. Receive at least some funding from their college’s athletic departments"
Several associations oversee varsity-level competition in various sports for men and women at different colleges. 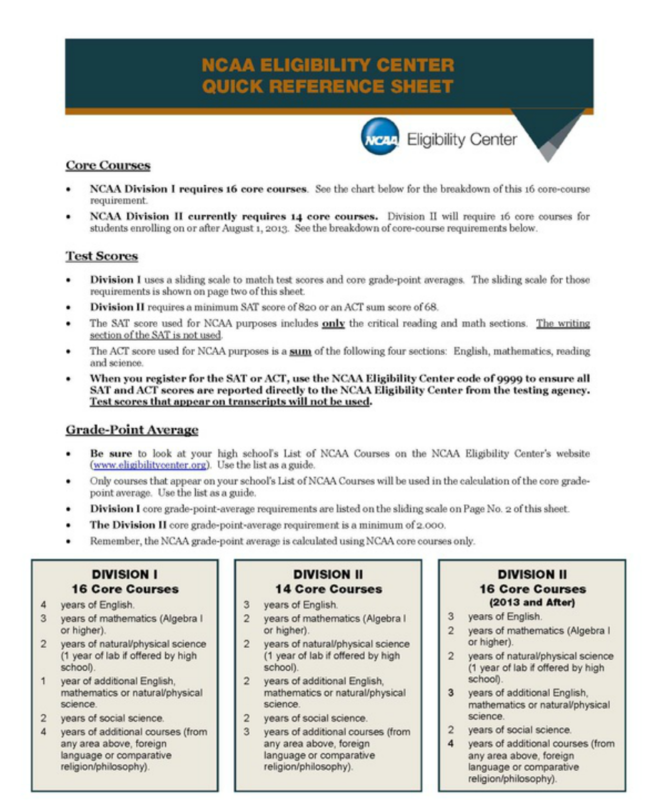 These include the National Collegiate Athletic Association (NCAA), the National Junior College Athletic Association (NJCAA) and the National Association of Intercollegiate Athletics (NAIA), among others. Division I is the biggest and most competitive NCAA division. Colleges that compete in Division I must offer scholarships — many of them full — to their student-athletes. Division II athletic programs are smaller and less competitive than those in Division I. Most student-athletes don’t get full-ride scholarships, but many do get some financial aid for playing. Division III programs are the least competitive. Division III colleges do not offer sports-related financial aid. Still, these schools recruit athletes, and being one can help you get into a college that wants you in its program. Students who can’t make the varsity team or who don’t want the intensity of varsity-level sports can join clubs and intramural leagues. Millions of college students take part in these teams each year as a way to compete, have fun and stay fit. Club teams compete against clubs from other colleges, and they are run by students. Students take charge of everything from getting uniforms to hiring officials to making travel arrangements. Competition and time commitments can be intense for club sports — teams may be involved in a regional conference and play for a national championship. Intramural leagues are set up by the college to give all students a chance to participate. Teams from the same college play against each other. Students can often participate in traditional sports, such as basketball, soccer and softball, and can sometimes compete in other activities, such as dodgeball, inner-tube water polo or video games. Some colleges offer these types of sports at different levels, so students can match their skills and interest level by choosing a more- or less-competitive team." ​"Playing Sports in College: Your Options." Playing Sports in College: Your Options. N.p., n.d. Web. 18 Oct. 2016.